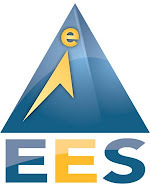 EES Clients: Open an account with the above link and receive our DRS EA Portfolio FREE! Minimum 25,000 deposit. Did The Bank Of England Rig Emergency Liquidity Auctions During Crisis? But back to the Bank of England, which it turns out, lied about its involvement in FX rigging. According toBloomberg, alongside the FX settlement announcement, the Bank of England fired its chief currency dealer - the abovementioned Martin Mallett - a day before he was faulted in an independent investigation for failing to alert his superiors that traders were sharing information about client orders. Martin Mallett was dismissed by the Bank of England yesterday for “serious misconduct relating to failure to adhere to the Bank’s internal policies,” according to a statement by the central bank today. Mallett, who worked at the bank for almost 30 years, had concerns from as early as November 2012 that conversations between traders right before benchmarks were set could lead to the rigging of those rates, according a report today by Anthony Grabiner, who was commissioned by the central bank to look into what its officials knew about practices under investigation around the world. Mallett was “uncomfortable” with the traders’ practices, yet he didn’t escalate these concerns, Grabiner said. Reuters adds, that the dismissal was unrelated to an ongoing foreign exchange scandal "This information related to the Bank's internal policies, not to FX,” a BoE spokeswoman said on Wednesday. So... the Bank's internal policies on FX rigging? An independent report published last year into the scandal reserved its criticism largely to Martin Mallett, the Bank’s former chief currency trader, saying he should have told his superiors about his concerns. When traders at major banks were rigging foreign exchange rates, Mr Mallett developed concerns about manipulation, several years before the scandal became public. Lord Grabiner, the barrister who carried out the report, criticised him for failing to escalate concerns, but also said the Bank needed a proper “escalation policy” to make sure that staff are able to raise the alarm. Mr Mallett was fired over unrelated conduct issues, which Mr Carney later revealed amounted to more than 20 violations of Bank rules, including “sharing a confidential bank document, venturing personal opinions about Bank policy… inappropriate language, inappropriate attachments to emails… incidents that could have brought the bank’s reputation into dispute”. Of course as we went on to note (and this is what we meant above when we said Mallet's dismissal was consistent with post-rigging investigations across the sellside), Mallet's only crime in the BOE's eyes was being exposed in the papers and thus he - like all of the scapegoats that were not-so-promptly dismissed across Wall Street once word got out that everything from money market rates to FX had been rigged for years - simply had to go, lest anyone should get the idea that the corruption and coverups are actually endemic and go all the way to the top. The Serious Fraud Office is investigating whether Bank of England officials told lenders to bid at a particular rate to minimise questions about the health of their ­balance sheets, thereby rigging emergency auctions at the onset of the financial crisis. It is investigating whether banks and building societies were instructed to offer roughly the same amount of collateral so no lender would be singled out for overbidding, insiders said. Over-pledging by an individual lender at the time of the auctions could have been seen as a sign of desperation, adding more turbulence to already volatile financial markets. The central bank introduced the auctions in late 2007 after money markets had frozen, allowing lenders to swap a wider range of assets for funding and gain access to emergency liquidity. The SFO has deployed investigators who worked on building the case that resulted in the world’s first guilty verdict in a trial related to the rigging of the London interbank offered rate (Libor). Their new case focuses on 2008 auctions, where lenders pledged mortgage-backed securities in exchange for UK government bonds. At the peak of the auctions, in January 2009, up to £185bn of gilts had been lent out. What the implications of this will ultimately be are as yet unclear, but it certainly looks like this was a concerted effort to obscure risk and while the BOE will no doubt claim that gaming the auctions was necessary to avoid inciting a panic, it also means that the central bank was intent on hiding the extent to which it believed the market was in peril heading into the crisis. We're sure we'll be coming back to this in due time. Well, then again maybe not, because as FT goes on to note, SFO will only continue its investigation if it believes "it's in the public interest" which is particularly amusing in this context as the probe itself revolves around whether the BOE was entitled to make an assessment of what it's in the public's best interest to know. If the SFO does decide the public is entitled to know more, the next question will of course be this: who's the Mark Mallet that instructed banks on how to bid? It is no secret that with the rest of the US economy, and especially housing, sputtering the one bright spot for US production and manufacturing has been the automotive sector. Whether the recent strength has been a function of money-losing leases, extremely generous terms on auto loans including a new rise in subprime debt issuance is up for debate, but whatever the reason carmakers have had a few years of relative stability (with China rolling over this won't last, but that's a different topic). But if in the US automakers have been the solitary silver lining to an economy that is once again rolling over (as the Fed lack of a rate hike just confirmed), in Europe carmakers are absolutely critical, while for export powerhouse Germany, one can say the local auto industry is nothing short of systemic. The Volkswagen group accounts for roughly one in 10 vehicles sold globally. Most German auto sales came from the Volkswagen group, which reported just over 202 billion euros in revenue in 2014. Roughly 70% of Volkswagen vehicles are sold outside German borders. Volkswagen employs nearly 600,000 people around the world, and more than a third of the 775,000 people who work in the auto industry in Germany. In short, while banking may be the most important sector to the hyper-financialized US economy, for the export-driven German economy - whose exports account for over 40% of GDP- it is all about the car companies and their massive supply chains. So what happened over the past 48 hours to Volkswagen, which has lost over a third of its market cap, or more than the market cap of Tesla, is nothing short of an earthshattering cataclysm to an economy where all the cogs and gears and running in a smooth, undisturbed ensemble... until everything changed overnight. What happens next to Volkswagen is unknown: as noted earlier a Credit Suisse laid out what may be the worst case scenario: "the balance sheet is at significant risk to deteriorate beyond the impact of the €6.5bn provision the company has announced so far. With group free cash flow generation largely dependent on China (we estimate 94% of industrial free cash flow – 78% dividend from JV), there could be increasingly risk to dividend payments." But it is not so much concerns about Volkswagen as fears the entire German auto industry may be at risk. The best case scenario: "Even a heavy drop in diesel car production and exports would probably not subtract more than 0.2% from German GDP," said Berenberg economist Holger Schmieding. "Demand for non-diesel cars may rise and partly offset the drop in demand for diesel-powered cars." The worst? Quote Theo Vermaelen, a finance professor at INSEAD: "If nobody else has done it, the damage would be limited. If it looks like it's more companies, not just Volkswagen, it would be a major problem for the German car industry, and the German economy overall." And that's the question German investors are wrestling with: was it just one cockroach. If it was more, the ultimate outcome will (not may) be more QE from the ECB because with Europe tentative recovery also sputtering after 6 months of ECB QE, a steak through the heart of Germany's most important industry, will be just the black swan that sends Europe into a recession. So the question becomes: will Mario Draghi wait to see the fallout of the rapidly escalating Volkwsagen scandal, or will he preempt and ratchet up the bondbuying even more? Find out in the next few weeks. Finally for those curious to learn more, we present what may be the winner of the "worst named corporate presentation" award for 2015 - Volkswagen's "Stability in Volatile Times" released earlier today. Russia's gold reserves rose to 42.4 million troy ounces as of September 1 compared with 41.4 million troy ounces a month earlier, the Russian central bank announced on Friday. The monthly accumulation of 1 million ounces in just one month was one of the more sizeable monthly purchases by Russia and equates to 31.1 metric tonnes in August alone. The value of the bank's holdings rose to $47.68 billion from $44.96 billion a month earlier, Russia said in a statement on its website. The amount bought was more than the 30.5 metric tons that Russia purchased in March, then the highest amount in six months. Russia is now the seventh biggest holder of gold reserves after the U.S, Germany, the IMF, Italy and France and the rising gold power China. Russia has more than tripled its reserves since 2005 and holds the most gold bars since at least 1993, International Monetary Fund data shows. Nations globally have been increasing their gold holdings in recent years, a reversal from two decades of selling. China, Kazakhstan, Ukraine and Belarus are among other nations that have been accumulating gold. Gold remains a large part of many central banks’ reserves, decades after they stopped using it to back paper and the electronic currency of today. Russia has been steadily buying bullion since 2007 and the advent of the global financial crisis. Russia was accumulating gold even prior to tensions with the West and international sanctions over the Ukrainian conflict. Gold has protected the Russian reserves and acted as a hedge as gold priced in rubles has surged over 60 percent in the last 12 months. The plunge in oil prices contributed to sharp falls in the ruble. Russia added about 13 tons in July and 24 tons the month before that. As tensions escalate with the U.S., the UK and the EU, Russia appears to be intensifying efforts to diversify out of their large dollar holdings and into physical gold. Gold had a 3 percent weekly gain and silver had a 3.5% weekly gain. Gold ended with a gain of 0.73% on Friday while silver rose to as high as $15.43 before ending with a gain of 0.26%. The fact that Texas announced that it withdrawing its gold from Manhattan and is creating a state gold depository generated a good deal of interest because there would also be a way to transfer gold to others via said depository. So much interest that Texas received calls from all over the United States from folks that wanted to be part of such a system. The articles covering the future Texas depository cumulatively received millions of views. What was missed in all of this coverage is that a functional, and legal depository that allows anyone in the country to pay and save in gold dollars already exists. In Utah. The United Precious Metals Association in Utah has gold and now separate silver accounts that act as checking accounts do at any bank or credit union.The way it works is that members deposit Federal Reserve Notes (or paper dollars) into their UPMA account which in turn translates them into golden dollars (or silver). The golden dollars are based off the $50 one ounce gold coins produced by the Treasury of The United States. They are legal tender under the law and are protected as such. So if I were to deposit $1,200 FRNs then I would have $50 golden dollars. UPMA is the only institution in the country that I know of that doesn't have a buy/sell spread on their Golden Eagles or Silver Eagles. This means that all my $1,200 FRNs once converted to gold could be spent the next day without losing anything to any sort of premium. The price of a Gold Eagle is 5.8% above spot but when you 'cash out' you do so at 5.8% above gold spot. This effectively removes that barrier from sound money. This year the UPMA released a gold backed debit card via American Express. The way it works is that a member may spend up to half of their gold or silver dollars in any given month period using the card. When I interviewed the founder of UPMA today, Larry Hilton, I learned that the way the card works is that they have made a contract with American Express so that UPMA members can use what are technically credit cards as a debit card anywhere American Express is accepted. The members are added on as 'employees'. Right now there are already hundreds of people around the country using this method of payment. They are literally spending gold on groceries without losing anything to premiums or in transaction fees to UPMA. In fact they get 1% cash back in gold. This service is available to anyone in the United States and requires no credit check whatsoever. Using the billpay service online one can pay for what American Express can't such as credit card bills, property taxes, or your mortgage. The golden dollars are simply converted right back into FRNs and paid out. When asked Mr. Hilton affirmed that there are many people that don't store anything in the banks anymore thanks to this service. They are obsolete if you want to use sound money. There are no fees associated with the use of the card. Members that store more than $50 in golden dollars do pay a small storage/membership fee of 10 golden cents or $2.50 FRNs and an additional 0.25 FRNs for every additional $50. These $50 Golden Eagles can also be withdrawn and sent to you directly. The United Precious Metals Association has the full backing of Utah Attorney General Sean Reyes who also uses the service. The legal foundation was set up in 2010 and 2012 here in Utah where the vault is located. Many members of the board including General Counsel Larry Hilton are lawyers that specialize in law regarding the use of legal tender. An elected board of members makes regular audits to assure that all of the gold and silver is there and reports to the general membership every year at the monetary summit. This year it will be held on October 17 in Salt Lake City. The vault is insured from theft and fraud via the Llyods of London. They hold a 100% reserve ratio. All very unmodern? The gold standard is not up-to-date only if we have a yen for running away from economic success in the form of stable prices and major growth. After Nixon went off gold in 1971, abrogating the conversion agreement with the foreign nations, and keeping gold-holding illegal in the United States, inflation did things that were unheard of. The price level leapt by 200% from the late 1960s to the early 1980s, a period also bedeviled by the economic sluggishness known as “stagflation,” where double-dip recessions came every few years and the long term growth rate sunk below 2%. In the 1980s and 1990s, the Fed returned to conducting monetary policy in view of the gold price, and sure enough the consumer price index stabilized at one-third the stagflation level and growth rebounded past 3.5% per year. The verification just kept on coming: key on gold stability – effectively making the dollar convertible on demand to gold at a fixed price – and watch prices stay the same and growth shoot the moon. In the 2000s, we are witness to a Fed that has disdained the gold price now for a decade. The result has been the loss of that decade to economic growth, as well as stirrings in key commodities such as oil and food, if not the brutal comprehensive arrival of inflation. If the Fed decided today to target the price of gold as the pole star in its monetary operations, there is no historically conversant reason to believe that we would have unfold before us anything but yet another era of price stability and maximal economic growth. For this is the only thing that has ever resulted from gold standards and their approximations throughout our history. The arc of time has revealed connections that we have the opportunity to re-forge today. The United States became the largest economy in the world in the 1870s, was two-and-a-half times larger than the second-place nation in 1913, boomed along with everyone else in the Bretton Woods era, and in the 1980s and 1990s did not succumb to the “Eurosclerosis” or any “Japan disease” that afflicted its major economic partners. In every episode of fantastic economic performance – in terms of both price stability and major growth – there was a commitment to gold. Choice in currency is being recognized as a basic human right around the world. Utah was the first State to make gold and silver coins legal tender alongside the U.S. dollar on March 25th, 2011. Euro Pacific Bank offers clients unparalleled privacy and safety through a range of global investment and private banking services. This week opponents of Ms Rousseff, incensed by allegations that "pixulecos" mostly involving ruling coalition politicians have cost Petrobras at least R$6bn (US$1.5bn), took their campaign to congress by filing a petition for impeachment with the speaker of the lower house Eduardo Cunha ... The petition from Mr [Helio] Bicudo, which was backed by the opposition in congress, marks the start of what could be a long process to try to topple the former Marxist guerrilla only nine months into her second four-year term. Rousseff - hand-picked by Lula da Silva to succeed him - appears to be caught up in da Silva's backdraft. Opposition parties also claim she violated Brazil's fiscal responsibility law when she doctored government accounts to allow more public spending prior to the October election last year. Rousseff in turn described the attempt to use Brazil's economic crisis as an opportunity to seize power a modern day coup. Political turmoil could not have come at a worst time. The Petrobras debacle has been a point of contention for the populace. While the elite profited from bribes and kickbacks at the state-owned oil giant, Petrobras is laying off workers and cutting supplier contracts in order to stem cash burn. And those efforts may still not be enough to stave off bankruptcy. With $134 billion in debt - $90 billion of it dollar-denominated - Petrobras is the world's most-indebted oil company. With oil prices 60% below their Q2 2014 peak, Petrobras will likely crumble under its debt load. Brazil finance minister, Joaquin Levy, immediately did an about face; Levy put forth an austerity plan that suggested a R$65 billion mix of cuts and tax increases could generate a 0.7 percent surplus in 2016. The revival of the CPMF tax on financial transactions is expected to raise about R$32 billion, while healthcare, agriculture subsidies, low-income housing programs and infrastructure are expected to bear the brunt of the cost cuts. The market reacted positively to the austerity plan - the Brazilian real rallied briefly after it was announced. However, Rousseff will need political capital to get the austerity plan approved by congress and supported by the populace. Any delays could prompt Fitch and Moody's to also downgrade Brazil to junk status. An impeachment of Rousseff would probably cause all three rating agencies to move; such act would surely cause more capital flight and pressure the currency further. Brazil is a country of interest due to its bellwether status for emerging markets and its $300 billion in dollar-denominated debt. If Brazil goes, other emerging markets could also get hit. A free fall in the Brazilian real could trigger defaults if dollar-denominated debt becomes too burdensome for Petrobras and others. Such defaults could leak into global bond funds, trigger margin calls or derivatives defaults for counterparties. According to hedge fund giant Bridgewater Associates, the impact is consideredunknowable, which could cause a selloff in global markets until the risk is contained. Investors should avoid Brazil and the U.S. stock market due to the risk of a coup or protracted impeachment process. by Paul Golden Regulators might be suspicious of it, but even market participants who have shifted their stance on last look reckon clients should be allowed to make up their own minds. Over-the-counter markets famously suffer from a lack of transparency given the quote-driven model, feeding fears over dealers with spread-setting monopolies and a lack of transparency over execution process. On the latter, one practice has come under regulatory fire: last look, which refers to market makers having a final opportunity to reject an FX order after a client commits to trade at a quoted price. Eliminating last look would remove some liquidity from the market Jim Cochrane, ITG The final report of the UK’s Fair and Effective Markets Review referred to the need for improving the controls and transparency around this practice, which it says could be abused by market makers, either by asymmetrically accepting or rejecting orders based on market moves after the order is placed, or by using the order to inform other trading activity before acceptance. It calls for a global set of guidelines to supervise the practice. Both Thomson Reuters and Bats Global Markets have amended their use of last look in recent months, by reducing the time available to reject trades, while large FX banks have clamped down on the activity. In May, Hotspot reduced the time a liquidity provider has to accept/reject a trade from 200 milliseconds to 100 milliseconds, while FXall has implemented an unspecified reduction. Hotspot participants can choose the types of liquidity they would like to access, although Bill Goodbody, senior vice-president, head of FX at Bats, observes that a mix of firm and non-firm liquidity typically yields tighter prices. "For example, bid-offer spreads can be up to 80% tighter than spreads from firm liquidity alone," he says. Goodbody suggests that eliminating non-firm liquidity would be disruptive to the market and would likely lead to wider spreads for investors. "On the basis that non-firm liquidity provision is open, transparent and disclosed to the client, we don’t believe it should be restricted," he says. "Customers should be allowed to choose the way they want to trade." This point is made even more trenchantly by New Change FX managing director Andy Woolmer, who says the elimination of last look would cause spreads to widen to reflect the risk being taken by the market makers and the cost burden of actively policing the absence of last look. "All clients can see their fill rates and who honours their pricing and who doesn’t," states Woolmer. "If clients choose to use market makers with less than perfect fill ratios, that is up to them. They should be prepared to have meaningful conversations with their market makers where they aren’t happy with the service." Last-look pricing offers the hope – but not the guarantee – of a better execution fill rate, often compressing the top of book quote through aggregation and smaller deal sizes, adds ITG director Jim Cochrane. "Eliminating last look would remove some liquidity from the market," he says. "Since the advent of aggregation and high-frequency trading, the spot market has grown considerably – a portion of that growth would be put at risk." Customers should be allowed to choose the way they want to trade Bill Goodbody, Bats The counter-argument is that it would create a level playing field and remove the ability for orders to be handled in an asymmetrical manner, observes James Watson, managing director ADS Securities UK, who compares the ability to cancel orders to having phantom liquidity in the market. Watson describes last look as an appropriate tool for when pricing latency was high and a lack of computer power meant platform performance was often lacking, but also states the market still comes with risk for liquidity providers and that if they cannot guard against this, prices will have to be increased. ITG’s Cochrane says he understands why some observers feel the practice distorts the FX market, adding: "The top of book quote is only available for small trade sizes and if the market is thin, a dealer can move their quotes to a less risky level. "Large trades are therefore susceptible to considerable market impact if liquidity is low and volatility is high. A no-last-look price would be guaranteed for a short time; a last-look trade is not guaranteed at all." As a general principle, Deutsche Asset & Wealth Management is not in favour of last look, says its global head of fixed income and FX trading, Juan Landazabal. Further reading Financial regulation: special focus He rejects the view that eliminating last look would impact the market from a liquidity perspective and says it might even lead to better transparency and conduct, while acknowledging this could also leave the market without a legitimate mechanism to resolve situations where two or more counterparties were tied in price. According to Alex McDonald, CEO of the Wholesale Markets Brokers’ Association, tensions between market makers and counterparties could be reduced by the use of agreed market standards and codes of conduct. "These would be evidenced in the exchange of documentation, making the market fairer for the client whilst encouraging efficiencies in market making and providing narrower spreads for the dealer bank," he says. Watson at ADS agrees that greater transparency around the use of last look and a common standard for reporting the real price in the underlying market could go a long way to addressing concerns. "However, these are industry-wide issues that need to be addressed on a global scale," he warns. Do you run a Forex strategy that does well, but doesn't create a lot of Volume? Get Forex Liquidity! BROKERS! Give this strategy for free to your clients to create volume! Our volume license means you can distribute this strategy to all your clients without additional fee! Introducing Brokers! Use this system as a value add sales tool! Drive sales by offering this system free to your customers! Buy it once from Elite E Services and give it away to all your clients. Watch your rebates add up as Liquidity trades all the pairs all the time! BANKS! Run this system using limit orders and create your own retail liquidity! Be liquidity makers, not liquidity takers! Easily and automatically place thousands of limit orders on all the pairs you run. Or run Liquidity on a house account to generate commissions internally. Click here to learn more about Liquidity! The market crash that sent the Dow Jones Industrial Average plummeting by more than 1,000 points within minutes of the opening bell on August 24 has been partially blamed on a SunGard software problem that led to a large number of ETFs temporarily trading at heavy discounts to their net asset values. However, according to Ben Hunt, chief risk officer at Salient Partners, the real cause of the crash was not a computer glitch, but rather a larger problem with the prevailing ETF trading mentality. In a new note, Hunt discussed the difference between investing and portfolio allocation. Investing involves buying shares of a stock that represent fractional ownership of a money-generating company. ETFs by definition are funds, which means that they represent an allocation to a particular theme, rather than an actual asset that buyers want to own. “Like so many things in our modern world, the exchange traded nature of the ETF is a benefit for the few (Market Makers and The Sell Side) that has been sold falsely as a benefit for the many (Investors),” Hunt wrote. Hunt pointed out that it is in the best interest of market makers and sell-side firms to generate trading volume in ETFs, and the idea that a large portion of the August 24 ETF trading volume consisted of stop-loss orders being taken out shows how investors are looking at ETFs in the wrong way. “If you’re an Investor with a capital I (as opposed to a Trader with a capital T), there’s no good reason to put a stop-loss on an ETF or any other allocation instrument,” Hunt argued. The point of an allocation is to expose a portfolio to a return stream with a particular set of qualities, and the price of the ETF has very little to do with that purpose. Hunt believes that investors have succumbed to pressures from market makers and sell-side firms to speed up their trading habits and shorten their investing time horizons. This behavior will likely continue to manifest itself in the ETF markets in the form of wild price swings such as the ones witnessed on August 24.